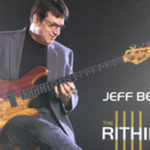 Jeff Berlin is considered by many to be the finest electric bass player in the world. 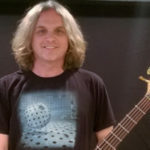 A true master of the bass, Jeff has played with the likes of Bill Bruford, George Benson and Allan Holdsworth and has toured with the original members of Yes. 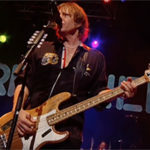 He has also toured with BX3, a conglomeration with fellow bassists Stuart Hamm and Billy Sheehan. Jeff’s playing has been lauded by bass greats no less than Jaco Pastorius, Geddy Lee and Marcus Miller. 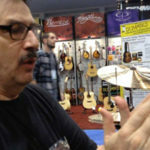 Jeff is the founder of The Players School of Music in Clearwater, Florida, and has also been at the forefront of music education for almost 30 years. His columns in Guitar Player and Bass Player magazines were wildly popular and often controversial. 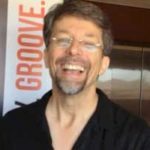 Jeff’s numerous recording credits include seven highly acclaimed solo records: Champion, Pump It!, Taking Notes, In Harmony’s Way, Lumpy Jazz, Aneurythms and the just-released High Standards, recorded with pianist Richard Drexler and drummer Danny Gottlieb. 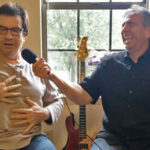 You will probably feel my frustration with today’s bass academia in how I explain my thoughts in this interview with Jon Liebman. I sometimes simply have to go for it, as I am the only name bass player at this time who opts for music in music education. Dann Glenn also stands for it, but I don’t know of anyone else in the “name” category that does. I have to admit that I am frustrated in having to sell music in music education to players and to their teachers who reject it outright. Players claim to want to be better musicians, but don’t want to do the work to get it. And their teachers are happy to accommodate them. So, although I don’t apologize for the content of my chat, I will do so for the tone. Aly on That’s crazy Jeff! Yesterday I listened to Dark Side of the Moon and American Beauty! Before rediang your blog! Wow I agree with you. When the going gets tough, music sure can help. I remember many times as a teen that when my parents drove me nuts I would go to my room and put on Demons and Wizards by Uriah Heep. And then everything was OK again. There is so much excellent feel good music out there. High on the list would be Bob Marley. Three Little BIrds in particular. Have a great day. Cheers!